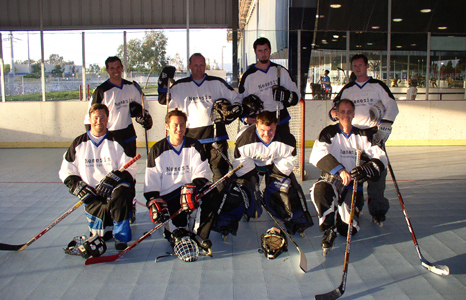 Since 2004, Nemesis has been involved with a local roller hockey team. Nemesis President, David Simpao, has served as the team's captain for several seasons. 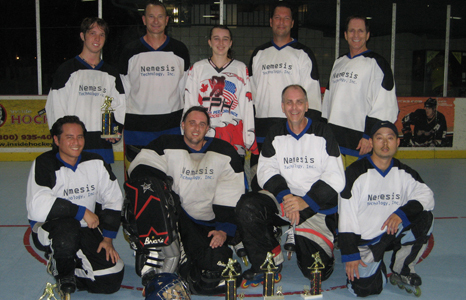 Over the years, Team Nemesis has won many championships. Here we see Team Nemesis sporting their alternate dark jerseys. 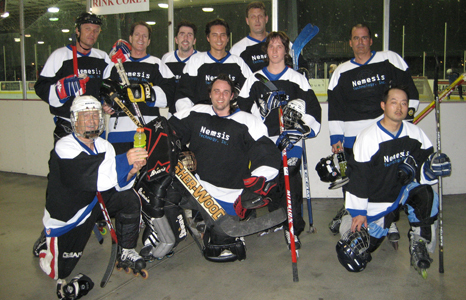 Most recently, Team Nemesis took home the trophies in Summer of 2008.